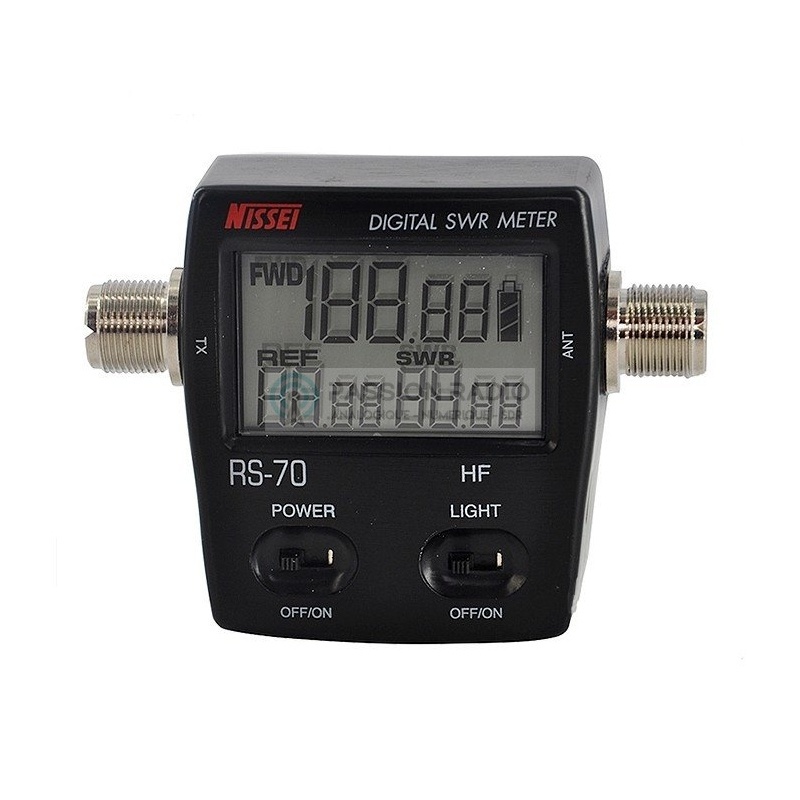 This SWR / Wattmeter Nissei RS-70 is a digital backlit display, it allows the measurement of the SWR for VHF-UHF frequencies from 1.6 to 60 MHz, and the measurement of output power up to 200W. The SWR / Power Meter RS-70 can be used directly, without calibration. Power supply: 2 AAA batteries not included or micro-USB cable (optional). Delivered with: 1 SWR Watt meter Nissei RS-70. Works with 2 "AAA" batteries not included. 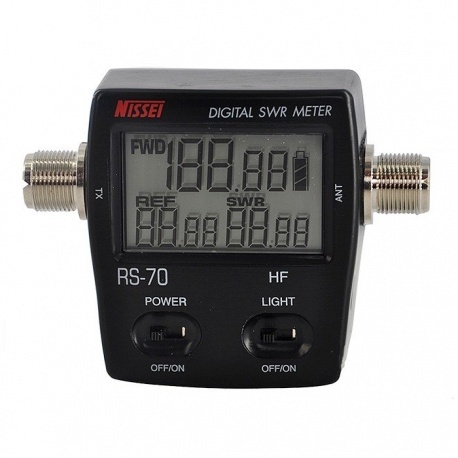 Description: This SWR / Wattmeter Nissei RS-70 is a digital backlit display, it allows the measurement of the SWR for VHF-UHF frequencies from 1.6 to 60 MHz , and the measurement of output power up to 200W . The SWR / Power Meter RS-70 can be used directly, without calibration. Its low insertion loss allows it to be permanently connected. Accuracy: +/- 5% Antenna Connector: Female UHF (SO-239) Power supply: 2 AAA batteries not included or micro-USB cable (optional). Delivered with: 1 SWR Watt meter Nissei RS-70. Works with 2 "AAA" batteries not included.